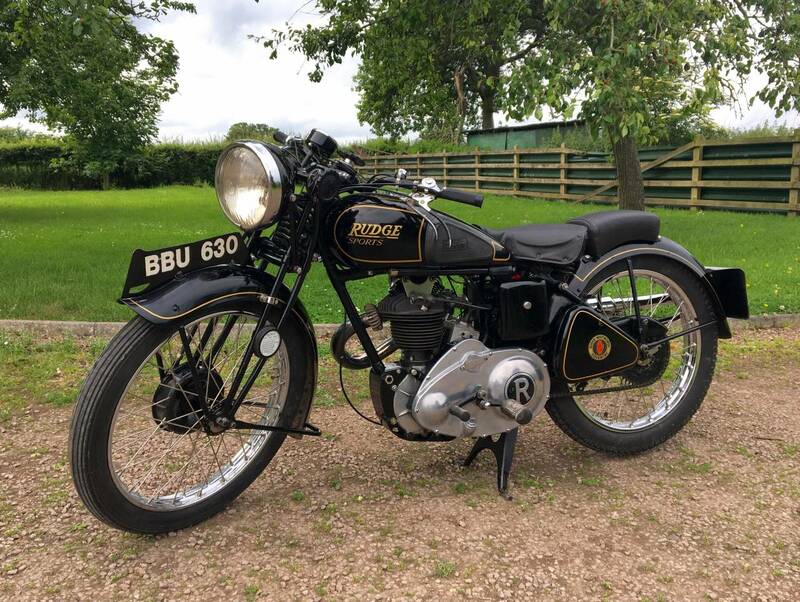 Rudge Sports 1939 250 cc. Extremely Original , With All Correct Numbers , Old Buff Log , Green Log And V5C And Original Transferrable Registration Number . Starts Easily And Rides Very Well , With A Lively Motor. 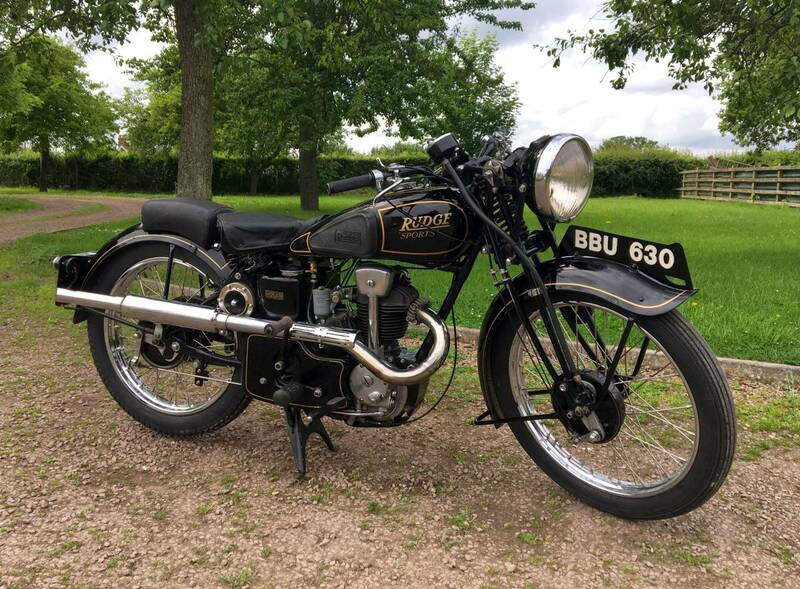 Looks To Be An Older Restoration And Now Looking Lovely , With Good Patina . A Nice Low , Lightweight, Powerful Machine . 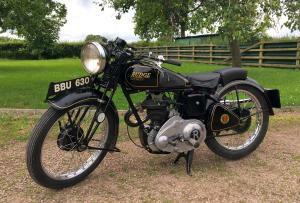 Was Featured In The VMCC Club Calendar ( Copy Comes With It ) Also Comes With Original Rudge Maintenance Book. Rarely Available In This Superb Order , With All Documentation. Great For Club Runs And A Sound Investment .